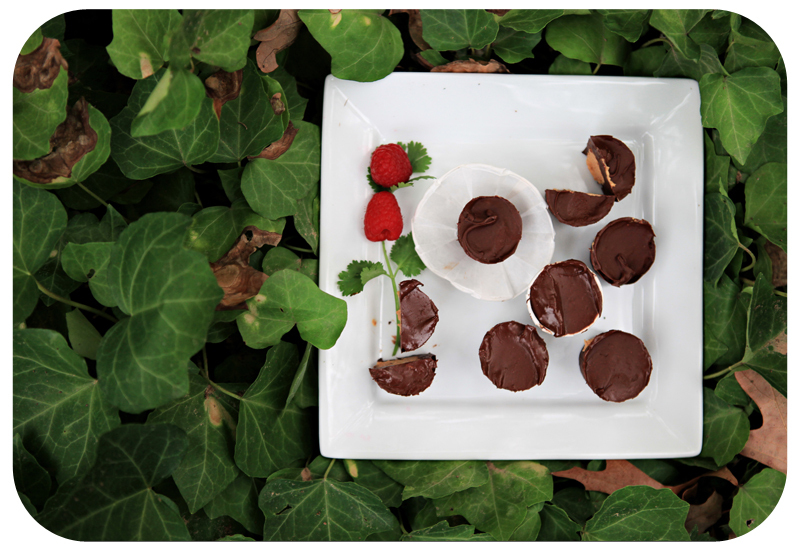 Chocolate and peanut butter have long been happy companions at our house, so when I saw a recipe in All You magazine for homemade chocolate peanut butter cups, I knew I had to try it. Ben and Mary Polly were all over this project! They both jumped in and helped, which was good, because we quadrupled the recipe which made for a lot of scooping. I have adjusted the recipe below to make 2 dozen, which is half the amount we made. The original recipe yielded only 12 which just is not enough. The process was a little messy, so there was definitely some licking involved. The end result was a big hit. They are just as good as I imagined they would be. A rich, creamy little bite of heavenly. Process crackers in a food processor until ground (or you can use a blender). Add peanut butter, butter and powdered sugar to cracker crumbs. Mix and then chill mixture. Melt chocolate (I used a double boiler) until smooth. Spread chocolate over bottoms and halfway up the sides of the paper. 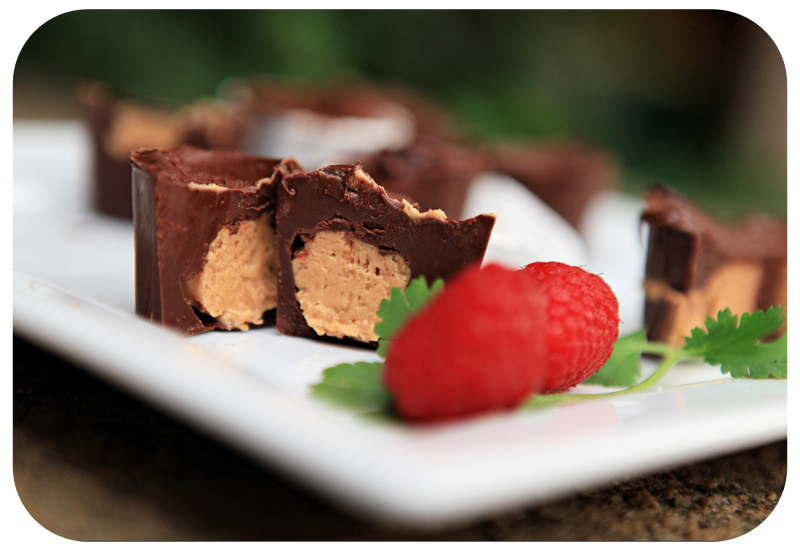 Scoop 1-2 teaspoons peanut butter mixture into cups. 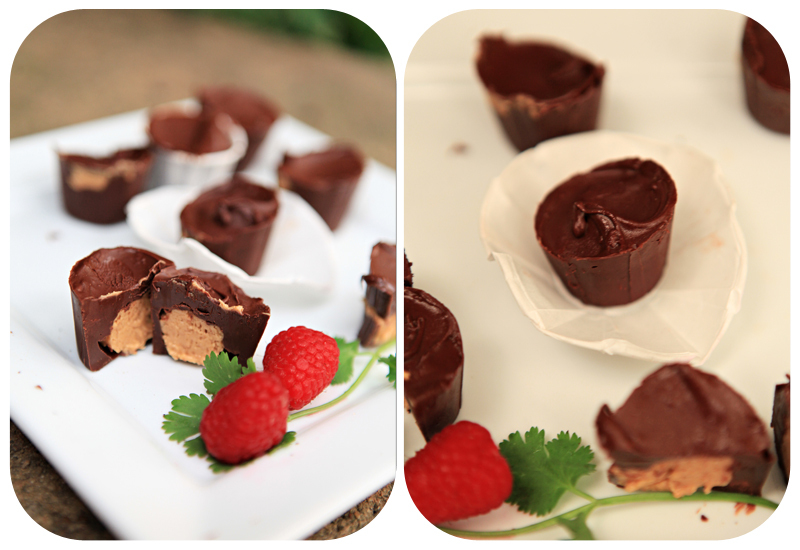 Spread 1 tablespoon chocolate on top of cups.